I’ve written in the past that I grew up hunting, but I learned to trap small game long before I was old enough to be trusted on my own with a gun. 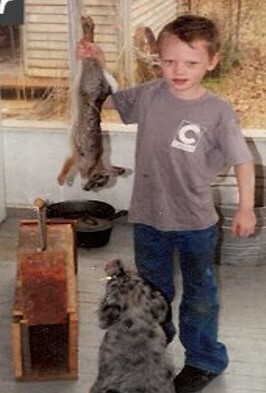 When I was six I wasn’t quite old enough to hunt on my own, but my Dad taught me how to build traps for rabbits and squirrels. Since these traps were relatively safe I was allowed to set them and check them all on my own. If I found the trap sprung in the morning then I would slowly crack open the trapdoor to catch a peak of my quarry, but it wasn’t always a rabbit. The problem with a rabbit sized trap is that it’s the perfect size for many other small animals. A lone six year old challenged with releasing a skunk from a wooden box in the middle of the woods is a recipe for some incredibly creative ideas, and none of them are good. Skunks aside I caught a few rabbits, and we had some wonderful rabbit and dumpling stews. Of course six year old me wasn’t much of a beer drinker, otherwise six year old me would have turned those rabbits into something like the stew recipe in this post. 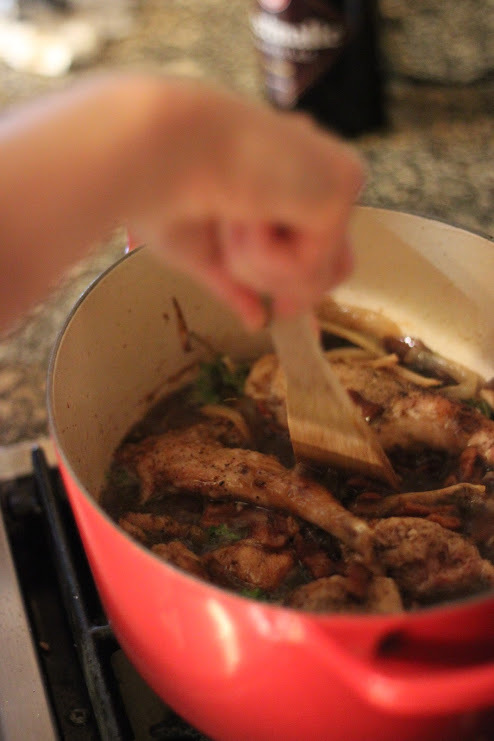 The rabbit in this recipe is braised in dark Belgian Trappist ale along with sautéed onions, and rich earthy mushrooms. The rabbit is then removed so that the braising liquid can be reduced along with dried cherries to create a rich savory sauce. For this recipe I highly recommend Westmalle Dubbel. 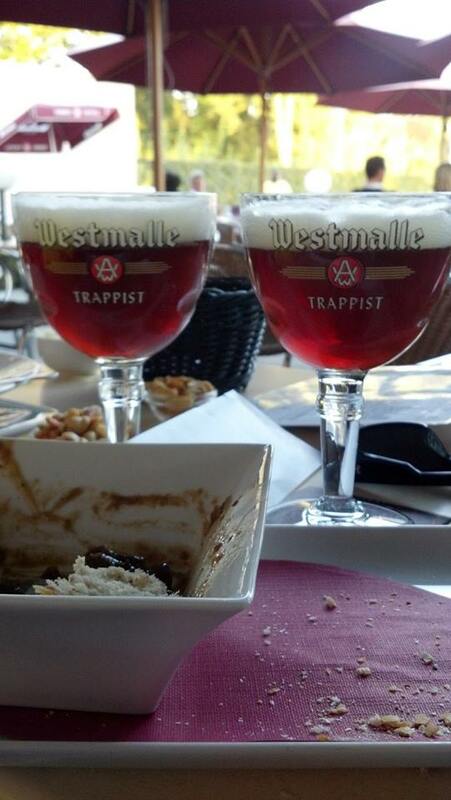 Westmalle Dubbel is a dark and malty beer brewed by the Trappist monks at the Westmalle Abbey in northern Belgium. At 7% ABV this beer tastes of dark rich fruits and finishes dry with hints of sweetened chocolate. The beer pairs extremely well with hearty stews, and was the first Trappist beer that we had on our La Tour de Trappe bike trip to all the Trappist breweries in Belgium and The Netherlands. 2. Cook bacon on med high heat in dutch oven with 1 tablespoon butter. When bacon is brown, remove to a separate bowl. 4. Cook onions on med high heat. After approx 5 min, add mushrooms. Continue cooking until onions are translucent and mushrooms are soft. Add garlic and thyme. Cook until fragrant (about 1 minutes). 5. Add bottle of beer, making sure to scrape up the brown bits from the bottom of the pan as you mix in the beer. 6. 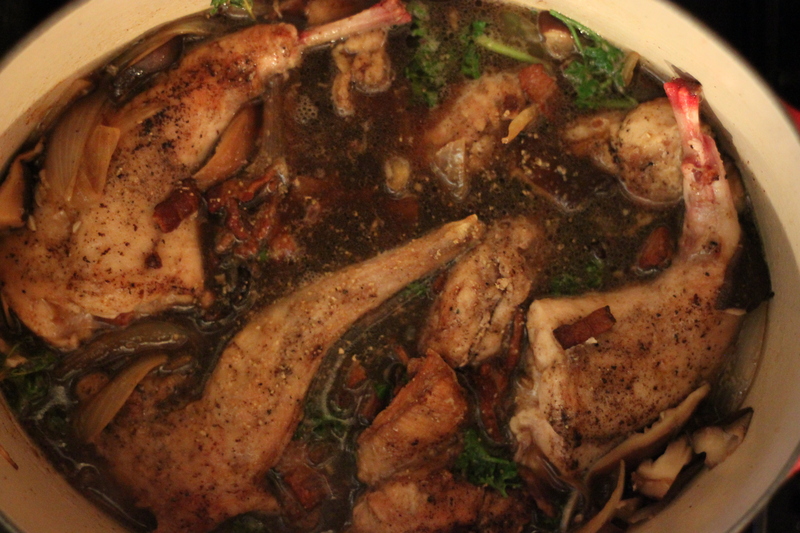 Add stock, bacon, rabbit, cherries, parsley, and bay leaf. 7. Bring to a simmer and cover. Let cook for approx 1.5 hours (until rabbit is tender). 8. Remove all the solids from the liquid using a slotted spoon. Cover the solids with foil to keep warm. 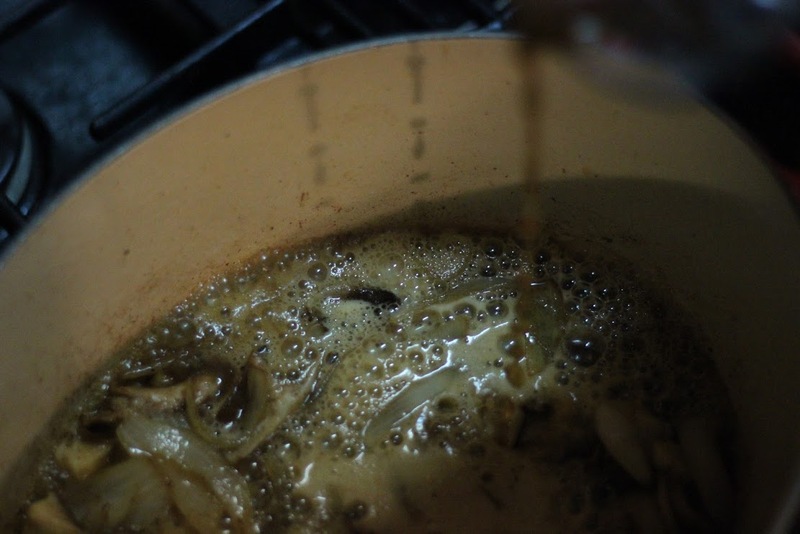 Add balsamic vinegar and 1 tablespoon of butter to the pot, and cook on high for approximately 30 minutes until liquid is reduced by half. 9. Salt and pepper everything to taste. Drizzle the sauce over the rabbit. Serve.